"Love your enemies, do good to those who hate you, bless those who curse you, pray for those who treat you badly". These are the four "details" to live the Christian life highlighted by Francis. "Among us is the great accuser, the one who always accuses us before God, to destroy us. Satan". Vatican City (AsiaNews) - "Love your enemies, do good to those who hate you, bless those who curse you, pray for those who treat you badly". 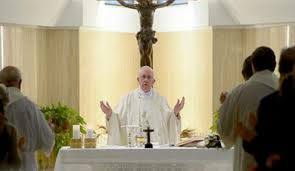 There are four "details" to live the Christian life highlighted today by Pope Francis at Mass at Casa Santa Marta. 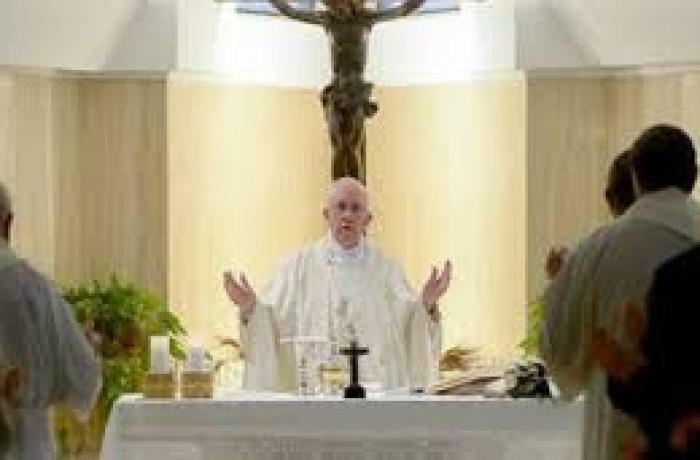 Beginning from the day’s Gospel from St Luke (6:27-38), Pope Francis once again clarified the distinctive traits of the “Christian style.” The Pope said that the Lord always indicates to us what the “life of the disciple” must be. He does so, for example, through the Beatitudes or the Works of Mercy. In a particular way, the day’s liturgy focuses on “four details for living the Christian life”: “love your enemies, do good to those who hate you, bless those who curse you, pray for those who mistreat you.” In his homily, Pope Francis said that Christians should never enter “into gossiping,” or “into the logic of insults,” which only cause “war,” but to always find time “to pray for annoying people”: This is the Christian style, this is the manner of Christian living. But if I do not do these four things? Loving enemies, doing good to those who hate me, blessing those who curse me, and praying for those who mistreat me, am I not a Christian? Yes, you are a Christian because you have received Baptism, but you are not living like a Christian. You are living like a pagan, with the spirit of worldliness. It is certainly easy to “badmouth enemies or those who are of a different party,” but Christian logic goes against the current, and follows the “folly of the Cross.” The ultimate goal, Pope Francis added, “is to get to the point where we behave ourselves like children of our Father”: Only the merciful are like God the Father. ‘Be merciful, as your Father is merciful.’ This is the path, the path that goes against the spirit of the world, that thinks differently, that does not accuse others. Because among us is the “Great Accuser,” the one who is always going about to accuse us before God, to destroy. Satan: he is the “Great Accuser.” And when I enter into this logic of accusing, of cursing, seeking to do evil to others, I enter into the logic of the “Great Accuser” who is the “Destroyer,” who does not know the word mercy, does not know, has never lived it. Life fluctuates between two invitations: That of the Father and that of the “Great Accuser,” “who pushes us to accuse others, to destroy them”: But it is he who is destroying me! And you cannot do it to the other. You cannot enter into the logic of the accuser. ‘But Father, I have to accuse.’ Yes, accuse yourself. You do well. For the other, only mercy, because we are children of the Father who is merciful.